Wilhelm Conrad Röntgen was one of the most prominent figures in science. His most important discovery, X-ray, is a major scientific breakthrough. Nowadays, these X-ray machines are a staple in every hospital, helping the treatment of many people. His brilliance combined with his curiosity pushed him to uncover a mystery about the cathode rays no one ever thought about. See how the German physicist and engineer discover the medical world’s most important breakthrough. Wilhelm Conrad Röntgen was born at Lennep in Lower Rhine, Germany on 27th of March, 1845. As the only child, he got much support from his family for his education and talents. Right around when he was 3 years old, his family moved to the Netherlands. When he’s old enough to attend boarding school, he went to the Institute of Martinus Herman Van Doorn. Here, he showed his love for nature and mechanical contraptions, which stuck with him for the rest of his life. His talent for mechanics landed him a spot on a technical school at Utrecht. After graduating he joined University of Utrecht’s Polytechnic. His work in the laboratories and attending lectures by a famous physician like Clausius influenced his development even more. In 1869, he finally attained his Ph.D. His lab leader, Kundt, took him in as his assistant and went to Würzburg then to Strasbourg 3 years later. Wilhelm Conrad Röntgen career rose up right after he attained his Ph.D. He got his qualification as a lecturer and began lecturing in universities in Württemberg. When he came back to Strasbourg as a professor, he was invited to many leading positions in the physics community. But he never accepted them for long and tried to focus on his research. His research actually started since 1870, when he published a paper about heats of gases. A few years later, he published his work about crystals’ thermal conductivity. He was always fascinated by waves and rays. This leads to his work that everyone knew him for, the X-Ray. In 1895, he was studying a case when a current of electricity passed through low pressurized gas. This wasn’t new, because many physicists had done this study before. One of the physicists, Goldstein, named the electrical current that passed through the gas cathode rays. But soon, he found another kind of rays after experimenting with cathode rays. It was the evening of November 1895. He was experimenting with a black carton sealed discharge tube in a dark room. He put a paper plate covered with barium platinocyanide on one side. After exposing it to the rays, the plate that got hit by the rays became fluorescent. The breakthrough was when an object was put in between the discharge and plate. It showed varying transparency depending on what the ray passed through. 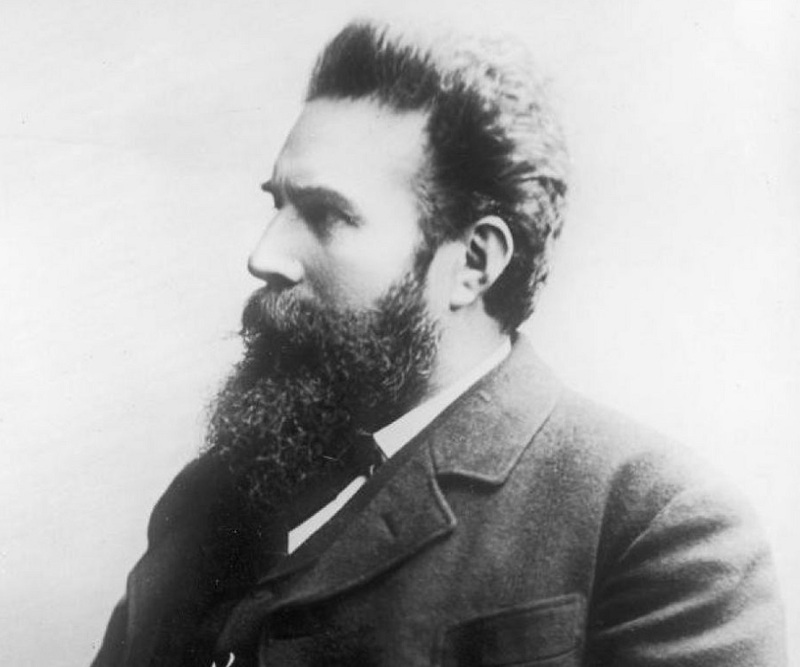 Wilhelm Conrad Röntgen continued his X-Ray experiments uncovering many of its properties. His teachings are heard and many more continued his research. When he died on February 10th, 1923, he left his legacy for future physicians to continue.